Constantine is a partner in Reed Smith's Financial Industry Group. Constantine counsels companies and funds in a wide range of corporate matters including private equity investments, restructurings, corporate governance, and securities. Constantine has worked with entities across the corporate growth cycle from early stage private companies to established publicly traded entities. He also has considerable cross-border experience and acts for foreign companies operating in the United States. He manages the firm's relationship with various investment funds and has developed a strong reputation advising them, in particular, on distressed credit and special situations transactions. Constantine also has a significant commercial finance practice representing lenders, funds, and other financial institutions in corporate finance matters, including in respect of workouts and reorganizations. 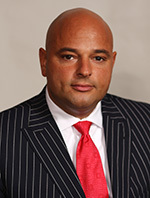 In this regard, Constantine spent the early part of his career as an active commercial and bankruptcy practitioner, appearing in courts throughout the United States. Constantine's corporate, funds and finance experience has covered numerous industries including shipping and transportation, defense, media and entertainment, retail, food and beverage, heavy manufacturing, life sciences and commercial real estate. Member, New York Bar Association Member, New Jersey Bar Association Member, Association of the Bar of the City of New York.